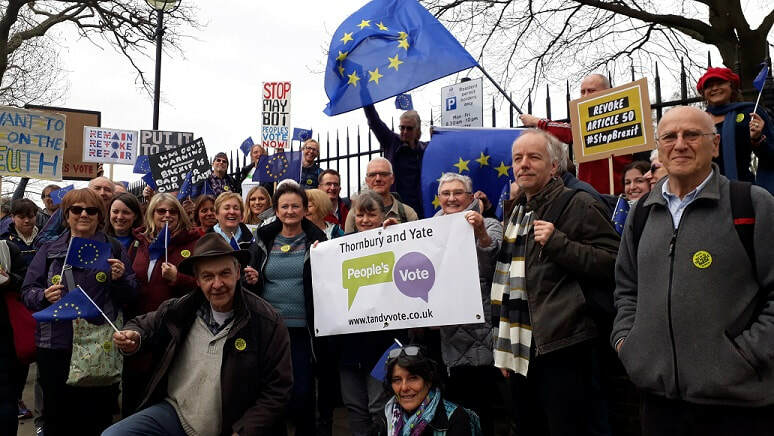 Our group took 2 coachloads of supporters to the latest People's Vote march in London. An estimated one million people took part, making it one of the biggest political demonstrations ever held in the UK. Coaches also ran from Stroud, Gloucester and Cheltenham. Supporters in Bristol and Bath even hired a train! Find out why we marched. ​Former schools minister Andrew Adonis visited Thornbury as part of his “Face the Future” nationwide listening tour. He was keen to hear from local people, whether they voted remain, leave, or not at all. The event was at Castle School Thornbury. Lord Adonis is a Labour party politician and a former academic and journalist. He was Head of the Number 10 Policy Unit under Tony Blair, and later became Minister for Schools and Secretary of State for Transport. It was a hugely informative, myth-busting talk. In the 2016 referendum there was a lot of mis-information about the UK and its relationship with the European Union. So we asked our MEP Molly Scott Cato to explain how the EU really works. The event was at Turnberries Community Centre in Thornbury. Molly is one of six Members of the European Parliament who represent the South West region. She is an economist and writer. We also invited our MP Luke Hall to speak at the event, but he declined.